Craving for something sweet but small? A cup of cake, cupcake cafe is perfect for you. 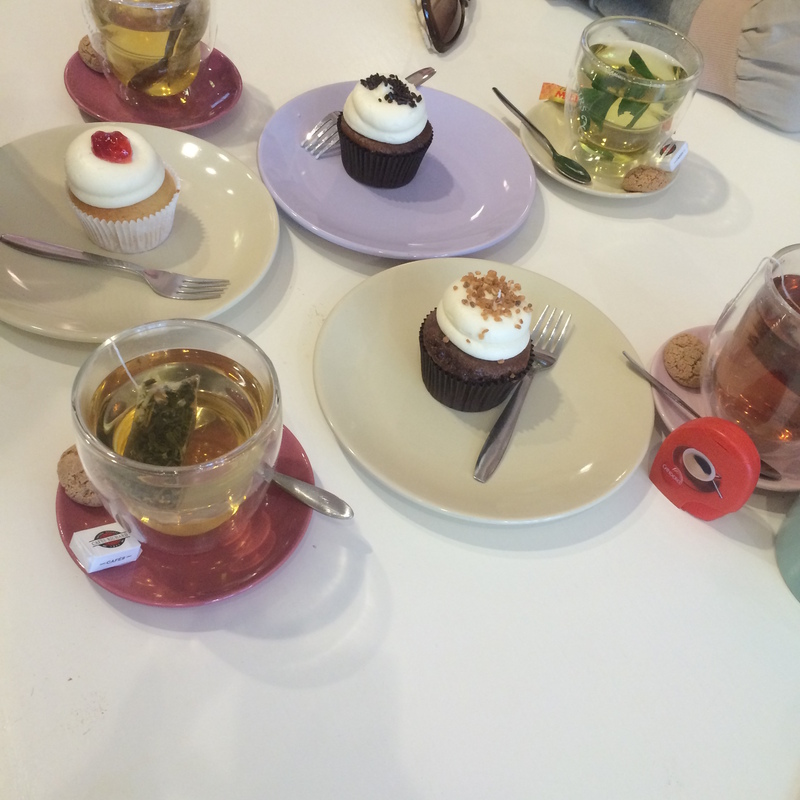 The interior is cosy especially if you like to enjoy a cupcake and some tea. 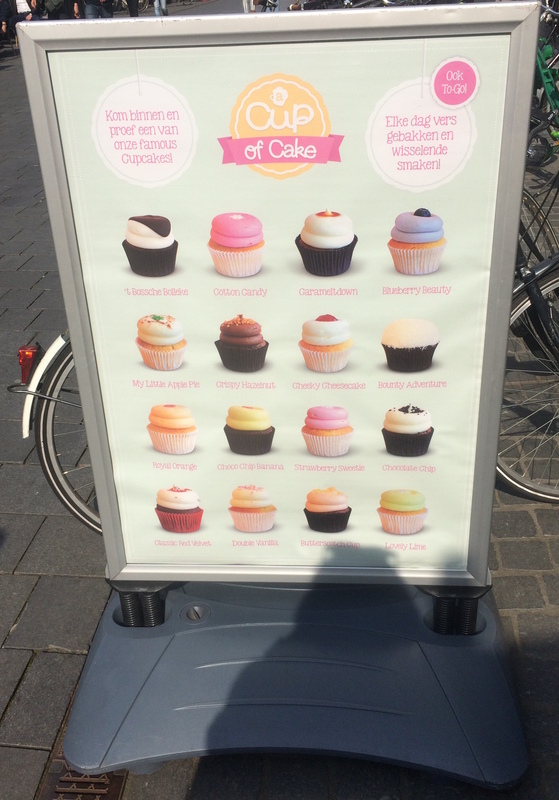 It is a small quiet cupcake shop in the corner of the city center in Breda, The Netherlands. 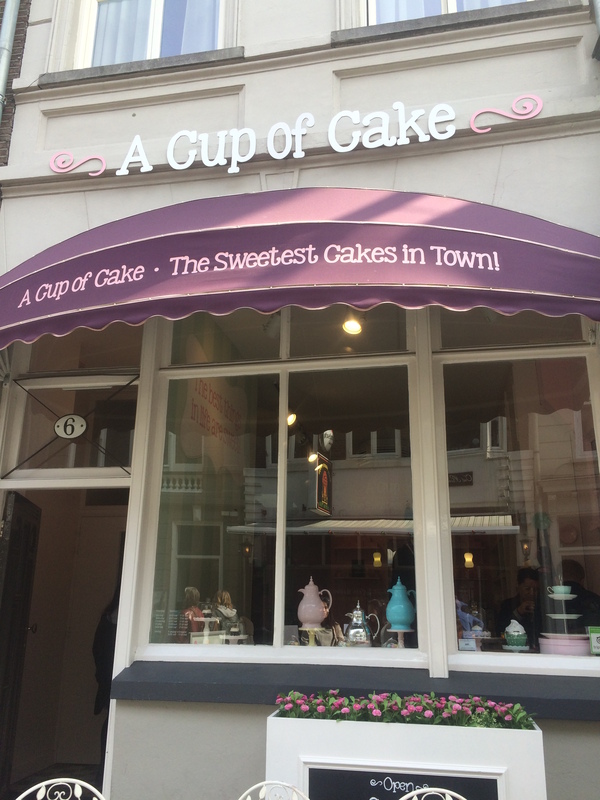 (Exact location: Sint Janstraat 6, 4811 ZL Breda) They serve a range of unique favours and tea. 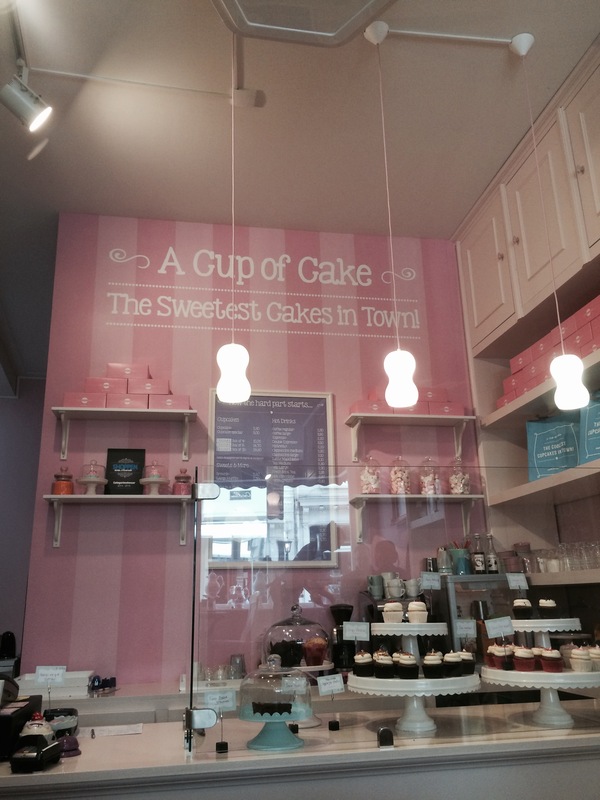 Interior of the cupcake cafe with their cupcakes of the day displayed ranging from cheesecake cupcakes to hazelnut to vanilla and red velvet. 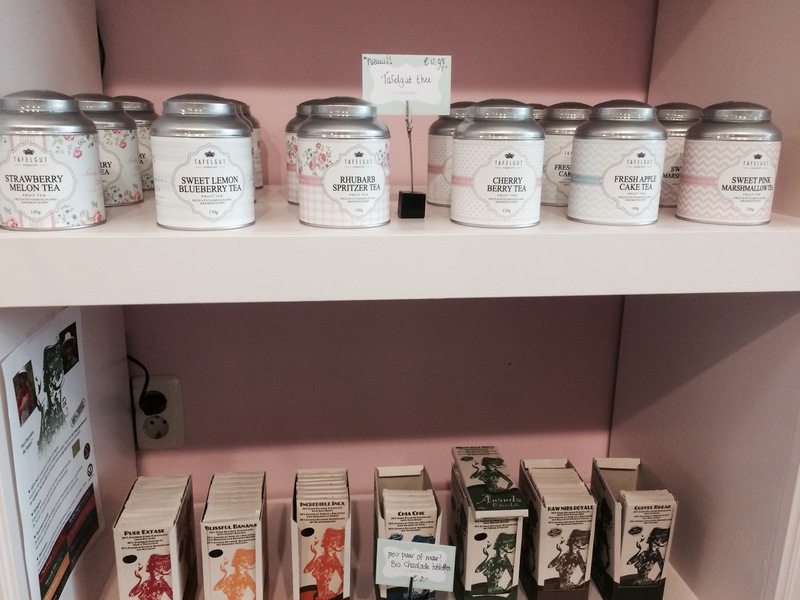 Unique flavours of tea to purchase. They also have small cupcake shaped gift items to buy such as lipgloss, and tea sets. I tried the Crispy Hazelnut, the flavour of the topping was very rich and sweet; nevertheless the cake was a little dry. I also had a bite of the cheeky cheese, it had a nice light cheese and sweet flavour to it, and the cake was very soft. If you like to go visit keep in mind it is closed on Monday and opened all the other days from 10 am to 5.30 pm on weekdays and 10 am to 5 pm on weekends!